Lea la Declaración en español aquí. Leia a Declaração em português aqui. ACCESS TO JUSTICE FOR ALL! In June of 2017, 24 organizations from across Central and South America established the Latin American Legal Empowerment Network, the first community of its kind in the region. Together, they developed the Declaration of Villa Inflamable outlining the values and commitments that will guide the newly-formed group and its future members. The network and declaration were created during the Latin American Learning Exchange on Legal Empowerment which took place in Buenos Aires, Argentina from June 14 – 19, 2017. 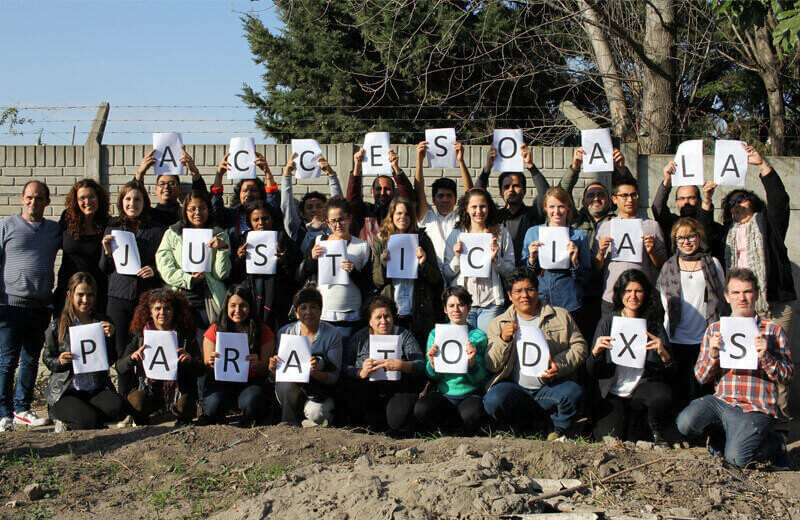 On June 24th, 2017 in Villa Inflamable, Avellaneda, Province of Buenos Aires, Argentina, during the Latin American Learning Exchange on Legal Empowerment, we gathered as representatives of regional, national, and international civil society organizations from 13 countries, all working with the most vulnerable communities to reverse violations of rights and structural discrimination. That our countries have failed to reverse not only deep and structural inequalities, but also the injustices that affect vulnerable communities, including women, indigenous peoples, migrants and refugees, victims of racial discrimination, LGTBIQ, those displaced or affected by environmental reasons, persons with disabilities, children and adolescents, and persons deprived of their liberty, among others. That a broad international consensus holds that access to justice is fundamental to the reversal of this state of affairs, as recognized by international instruments such as the American Convention on Human Rights, the Sustainable Development Goals (SDGs), the 100 Rules of Brasilia, among other human rights instruments that specifically protect vulnerable groups. 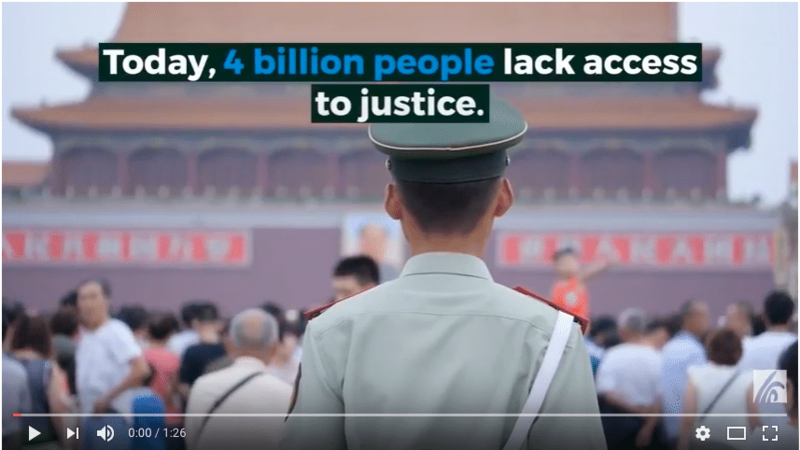 That, despite this, barriers to accessing adequate and timely justice continue to take many forms, including geographic, symbolic, economic, structural, linguistic, cultural and institutional obstacles. That to reverse existing asymmetries in access to justice, commitment is required from the public sector, the private sector, civil society, academia and the international community, among others. That “top-down” institutional reforms will not alone bring down these barriers. Rather, overcoming these obstacles requires that communities and victims take the lead in knowing, using, and shaping the law. That the organizations signing this declaration, alongside hundreds of other organizations, advocates, and civil society activists in our countries, are in a position to play a key role in accompanying, accelerating and encouraging community legal processes. In doing so, we contribute to and promote peaceful and inclusive societies, as well as support the institutional, cultural and economic changes that our countries must make in order to provide adequate, equitable, timely, high-quality, accessible and effective justice services. To guarantee all their inhabitants the right to access to justice, giving priority to the most disadvantaged groups, so they can reverse violations of their rights and resolve their legal needs. 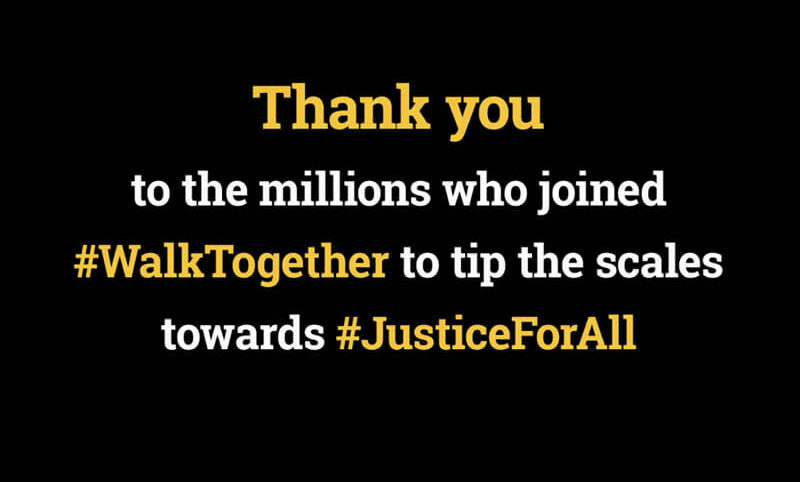 To this end, to guarantee universal access to legal assistance for the aforementioned groups. Legal assistance should be affordable, high-quality, independent and accompanied by interdisciplinary support. It should be available to all who need it, amplifying the coverage of public defense services and providing the requisite economic and technical resources. To eliminate all existing barriers and asymmetries, between the powerful and the rest of the population, so that the latter may access justice and judicial functions. To generate exhaustive and rigorous diagnostics on access to justice. This should be undertaken from a human rights perspective, accounting for elements of intersectionality, as well as the citizenry’s perception of their rights and institutional systems. Such diagnostics should include clear indicators that can be used to measure progress relating to access to justice. To systematize and provide detailed information, in a complete, truthful, and timely manner, regarding the state of access to justice in each national and subnational area. To provide legal education, and to develop and support the capacity of communities to know and claim their rights, as well as to understand existing ways – or ways that should exist – to assert their rights. 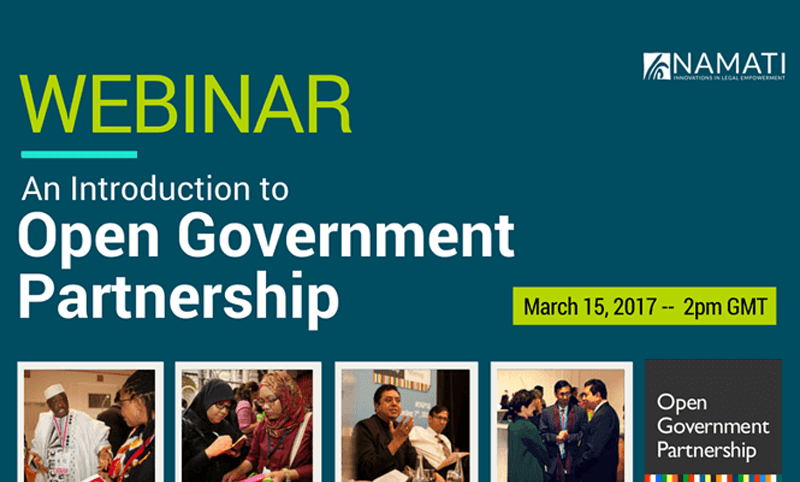 To deploy appropriate means to institutionalize effective citizen participation in public decision-making, including those of administrative, judicial, and parliamentary bodies. To implement training policies for legal operators, public officials, and magistrates on human rights, and to raise awareness about the legal problems facing vulnerable sectors of our societies. To ensure the existence of adequate avenues for the alternative resolution of conflicts and the channeling of extrajudicial or prejudicial claims, avoiding the judicialization of problems that can be solved by other means. To generate suitable administrative procedures – simple process and agile response – for those cases where the violations of rights are due to the action or omission of the State itself. To implement policies necessary to ensure that judicial processes, particularly collective ones or those addressing structural issues, have adequate opportunities for participation, are resolved from a human rights perspective, and provide mechanisms for the effective enforcement of judgments. To protect against any threat and / or risk to victims, as well as the defenders of these rights; To guarantee the exercise of the right to protest and the freedom of expression and association; And to refrain from criminalizing community leaders and human rights defenders. To implement policies to decentralize the offices and services of public institutions that are responsible for the protection of rights, including judicial ones, and bring them – not only geographically – closer to vulnerable communities. To generate in the judiciary the conditions for its independence from political and economic influence, eliminating interference in the resolution of conflicts, particularly in cases of human rights violations that require structural responses. To recognize and respect the forms of organization, decisions, and system of values that communities – especially of original or ancestral peoples – seek to give themselves, in accordance with the principles of legal pluralism. To guarantee the right to prior, free, informed, and culturally appropriate consent of individuals and communities in those decisions that affect them. To elaborate a plan for the implementation of Sustainable Development Goal 16, which should be broadly participatory, especially promoting the active involvement of those who face territorial, linguistic, economic and cultural barriers to access to such forums. Likewise, the plan must have indicators of progress to identify progress in access to justice for vulnerable people. To monitor in each country the situation regarding access to justice, and to strongly and decisively promote good practices around the issue. 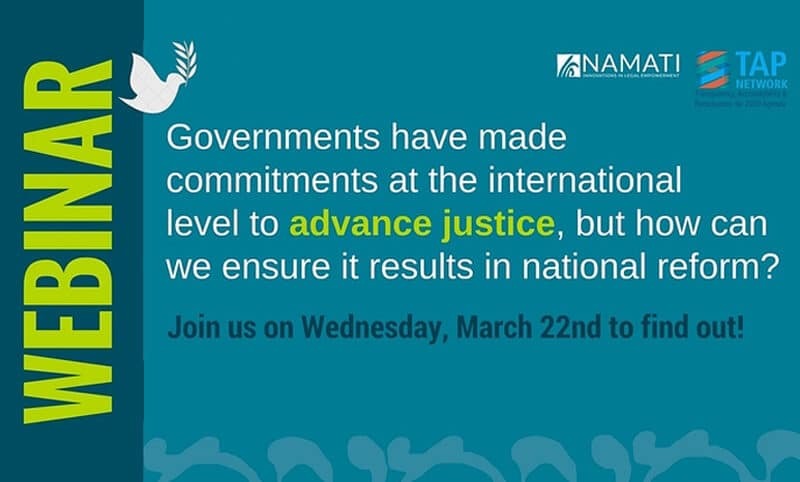 To support politically, technically and financially the agenda for access to justice at the local, national, regional and international levels. To promote and monitor effective progress towards the adequate compliance, at the national and subnational levels, of Sustainable Development Goal 16 and in particular Target 16.3. Also, to fully reform the present system of indicators – which is limited to monitoring the progress of States – ensuring that they are comprehensive in scope. To ensure in its activities respect for human rights and environmental law principles and obligations and to comply with all international, national and subnational standards. To respect the participation and decisions of communities regarding the use of their territories; To contribute, and to refrain from causing damage to their quality of life. Not to interfere or influence public institutions. To comply with state decisions – legislative, judicial, and administrative – that apply to it. To produce and provide information about the activities the private sector carries out and their impact. To adapt its economic activities with a view to achieving the Sustainable Development Goals. To work together with people and communities to put their rights in their hands, thereby promoting legal empowerment and strengthening processes for rights enforcement. To form the Latin American Legal Empowerment Network, to play an active role in it, and to promote the incorporation of new members who share the values and practices articulated. 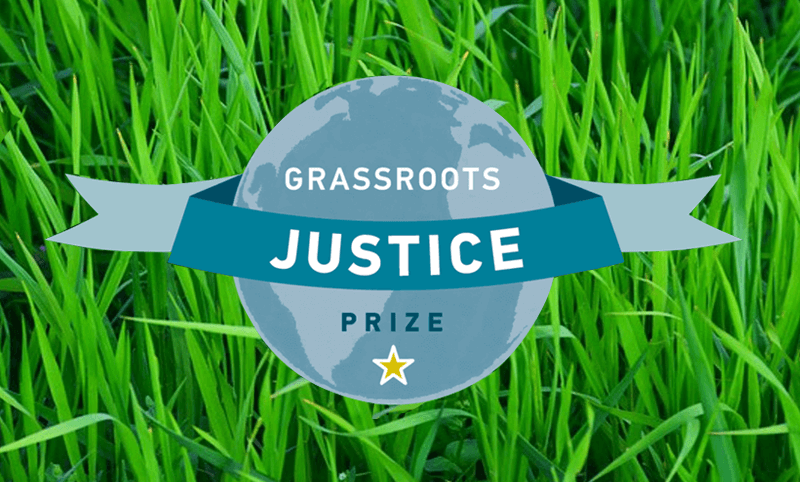 To exchange information, experiences, knowledge, and learning to bolster efforts deployed throughout the region in pursuit of access to justice for vulnerable communities. To carry out public campaigns – and other forms of awareness raising – around the problems that affect the communities with which we work; To identify those responsible for the harm, and/or those who must prevent and / or repair them; And to show the progress and potential arising from legal empowerment efforts and the promotion of access to justice in aforementioned communities. To produce information about our practices, and to join efforts in the socialization and evaluation of legal empowerment and access to justice policies implemented by our countries. To carry out advocacy before public bodies – in all branches of government – for the implementation of policies that reduce limitations and barriers to the right to access justice in each of our countries; Also, to carry out advocacy at the regional and global level, with the objective of obtaining an effective commitment from the international community on the issue of access to justice. Rights in the hands of the people. Justice for all!